The Saint John Regional Hospital Emergency Department Ultrasound Program was established as one of our priority academic programs. 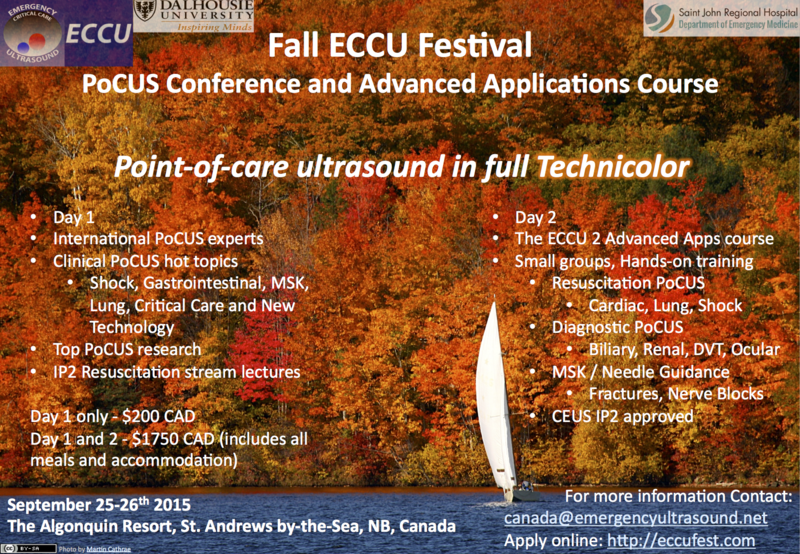 Amongst our physician group are a number of national and international leaders in the field of Point of Care Ultrasound (PoCUS). 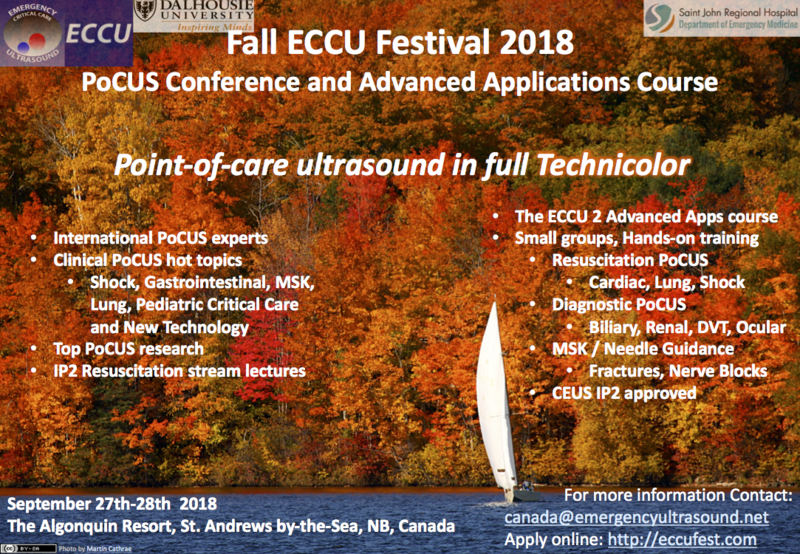 We run a growing number of PoCUS courses each year in Saint John, including the ECCU 1 course, ECCU IP School and Fall ECCU Fest! 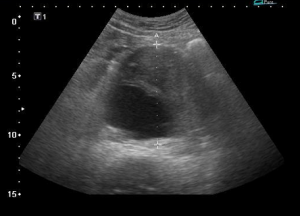 We have 2 Sonosite M-Turbo machines located in Trauma and RAZ and 1 Sonosite X-Porte in Acute. The ultrasound simulation room is located in the back corridor between RAZ and Trauma. 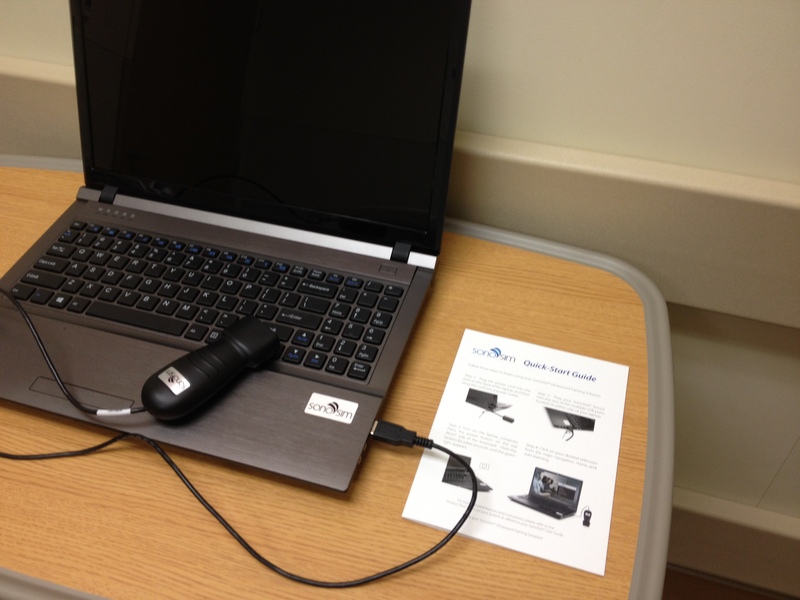 They key for this room can be accessed via the ED Admin Office. 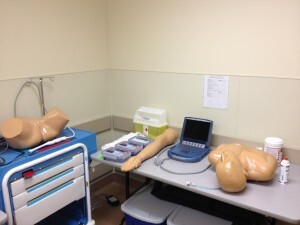 This room is set up for a variety of ultrasound simulation modalities. 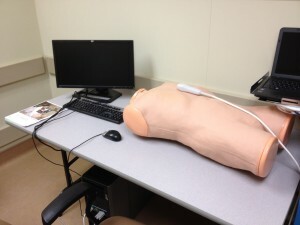 This equipment is available to all staff physicians, residents and medical students. 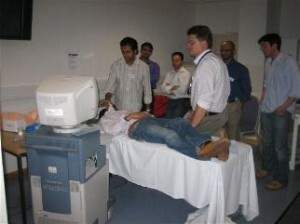 Please contact Dr Lewis for simulator training if required. Simulator instructions can be found in the File Store below. 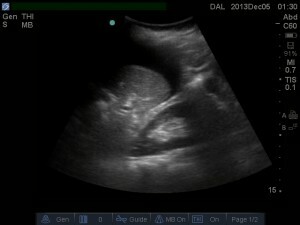 Please ensure that all the equipment in the ultrasound simulation room is turned off and in good condition after use.